We have become quite used to seeing and enjoying loads of little birds enjoying our feeders – finches and sparrows and oregon juncos abound. I was a tad surprised when I looked out and saw the red-winged blackbirds had decided they liked the new seed and a whole gang of them clustered on the little house. When they show up, the seed flies all over and the house empties rapidly. It’s like feeding ravenous teenagers, I imagine. 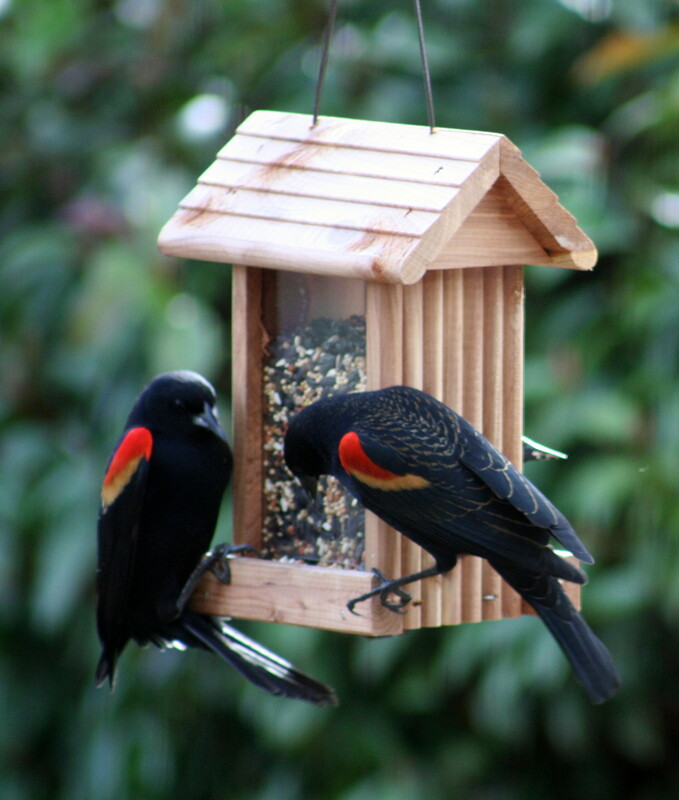 I am also pleased to report the little birds don’t take this without a fight – they get their fair share, no doubt.